Boris Tvaroska has more than 20 years IT Leadership experience across Europe, Asia, Africa and North America. He is currently Global Artificial Intelligence Architect for Lenovo. Previously, Boris was CTO of Sidekick.chat, startup with mission to automate repetitive tasks in project management. Before his startup work he was running Solution Architecture for HP in Central & Eastern Europe, Middle East, Africa and India. Boris has Master in Computer Science from Comenius University in Bratislava, Slovakia and Master in Business Administration from Erasmus University in Rotterdam, Netherlands. 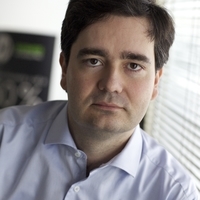 Boris has more than 20 years of experience developing new technologies and building new markets.